New Orleans is awash in hot dogs and hamburgers at the moment. The Company Burger (4600 Freret) opened last week, joining Tru burger, Dat Dog, and Juicy Lucy’s (just to name a few). 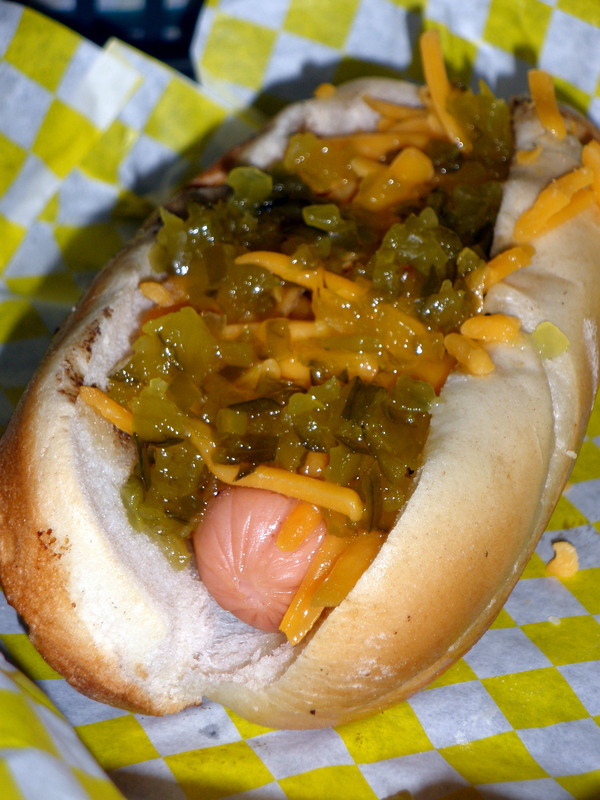 Pictured is Tru burger’s hot dog, made with a Zweigle’s frank. It’s my favorite hot dog of the moment, though at the rate burger/dog joints are springing up ’round here, I might have a different favorite by next week. A few weeks ago, the white hots were indeed available as a special. Awesome. Mind you the food in a place like Rochester is designed to give one an outer layer of protection against the cold (aka 20 pounds), but a couple of things are ok.